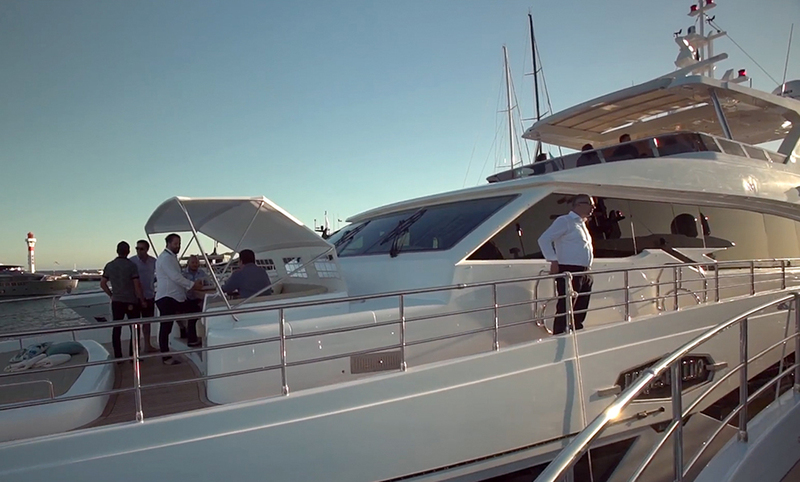 Hop aboard this stunning new Ferretti with Jake Kavanagh as he takes a good look around. 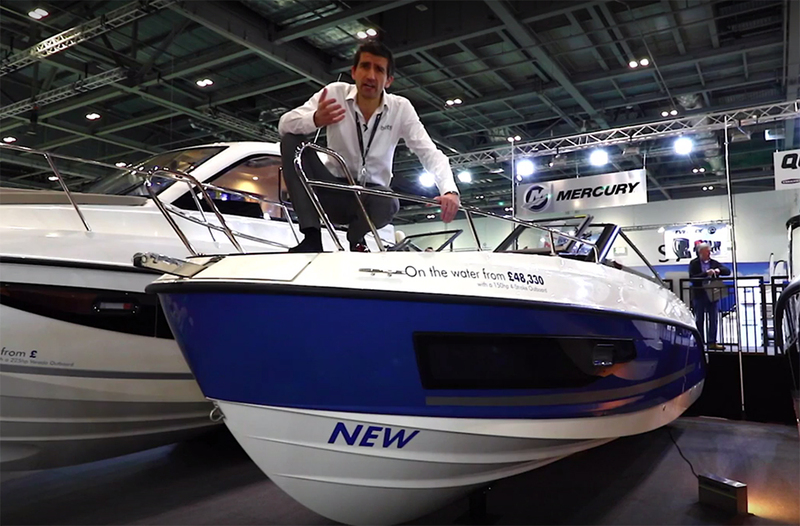 This is the new Ferretti 780, and we heard a visitor comment how every year the boats get better and better, with greater and greater design ideas, and looking around this boat, he's exactly right. It's a very striking interior design, Italian yard so of course it's typically Italian, lots of space and lots of headroom and lots and lots of windows. 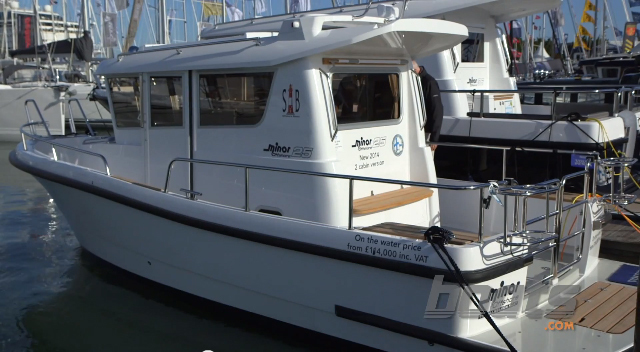 This is a four cabin boat, so four separate cabins with four separate toilets. The owner's suite runs the full width of the hull, big windows each side, and of course you can customise your own decor. 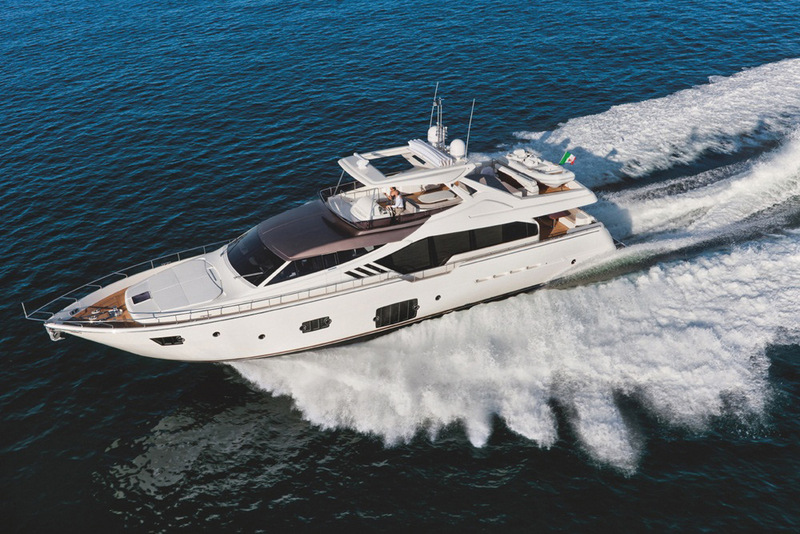 Ferretti says that this lower helm position is deliberately technical, deliberately professional, everything's black so you don't get any glare on the screens. The actual interface is here, you can control the whole boat, everything's to hand, everything's nicely laid out and everything's actually quite simple. Ferretti have put a lot of emphasis into the beach club scenario, this is the beach club here a nice place to sit and watch the water by the bathing platform. They've also built in a place for toys to be stored. 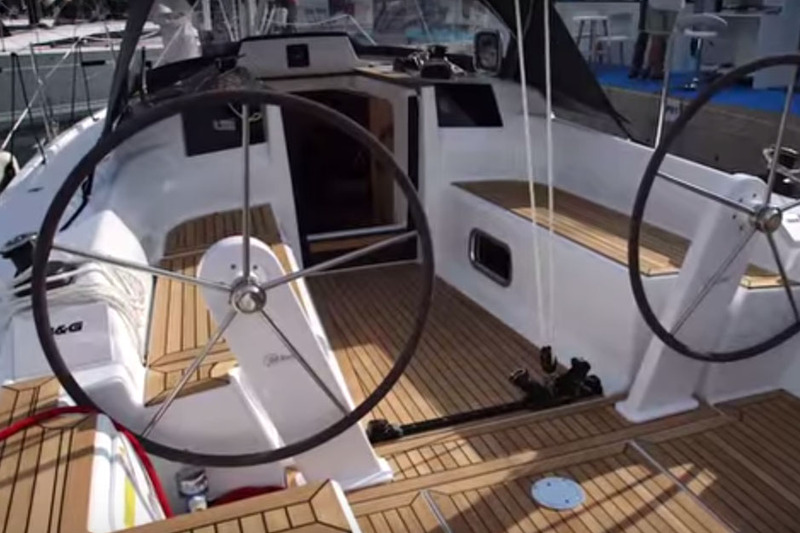 This boat is powered by a pair of MAN 1550HP diesels on shaft drives, it's all hydraulic operation, so fly by wire, and top speed should be round 36 knots.